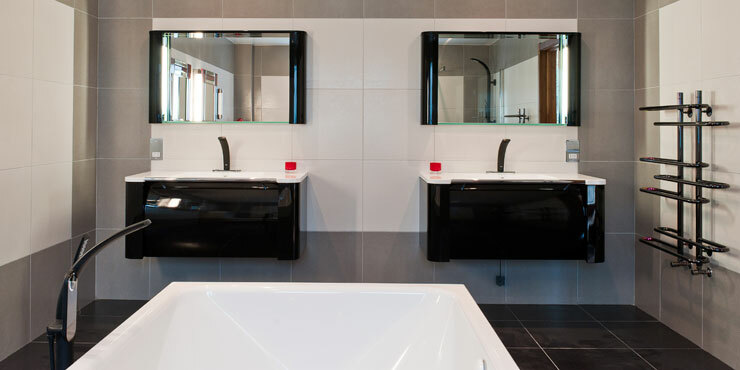 Located in the Royal Borough of Kingston upon Thames in suburban London this luxury seven bedroom development demanded high end finishes throughout. 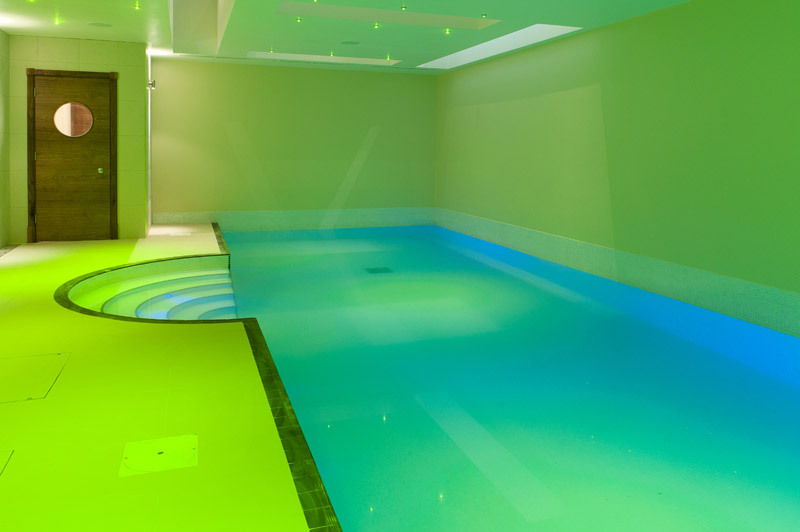 This exclusive home boasts a chromatherapy swimming pool, a home cinema complete with authentic cinema seats and a top of the range kitchen and entertainment area suspended above the swimming pool. 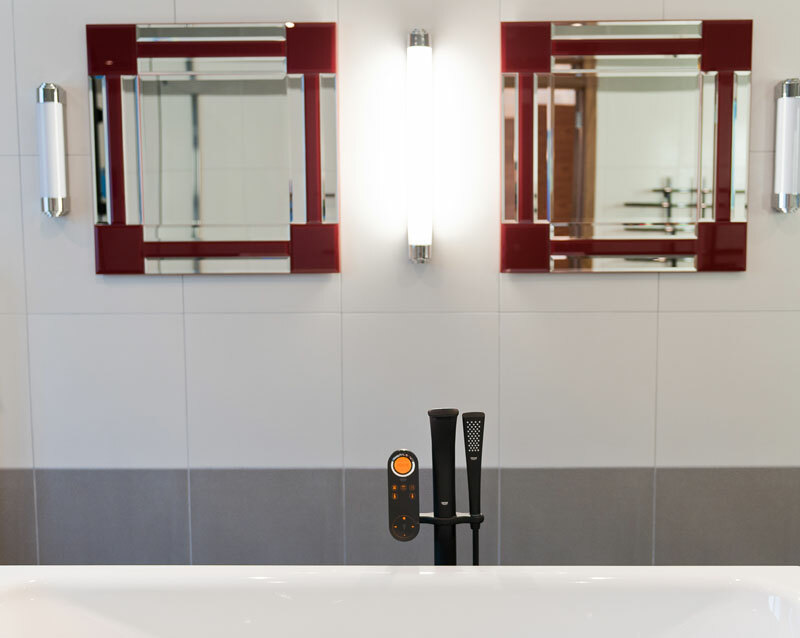 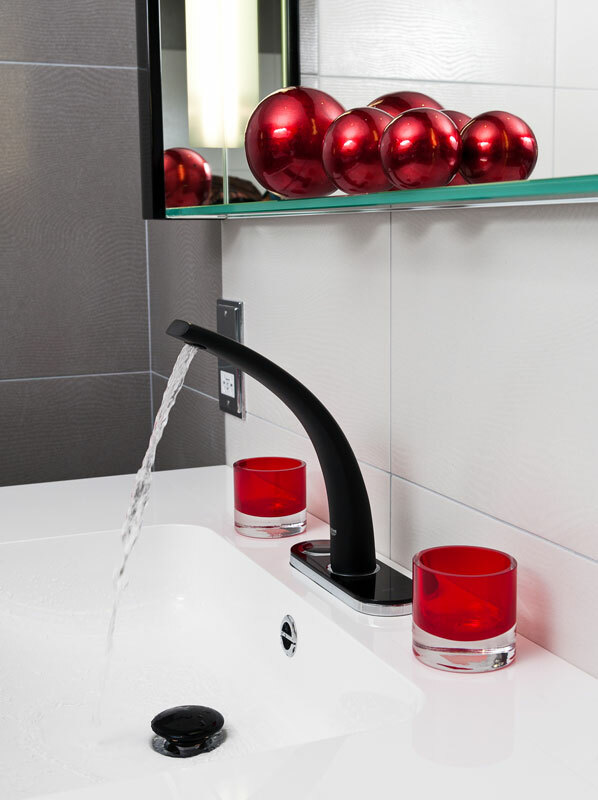 The perfect choice for the master en suite bathroom was his and hers basins complete with GROHE Ondus® Digital faucets. 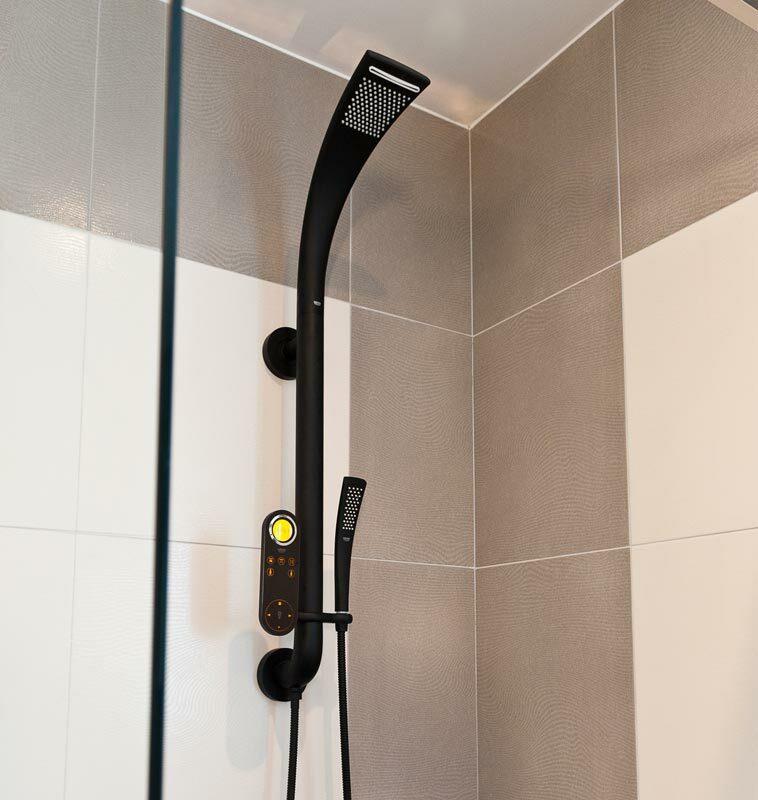 The freestanding bath faucet has GROHE Ondus® Digital controls while the Digital Aqua fountain takes centre stage in the matching shower.